What kinds of things are atypical of a Toyota Tacoma with a bad wheel bearing? At least the 2006 version of a Tacoma? You may also hear noises that sound like grinding, rumbling, or maybe even groaning from what may seem to be your tires or your wheels. You might notice that the problem sounds worse when you make a turn. Well, can I drive with my wheel bearing going out? I mean, I need to get this to a repair shop in Tualatin, Oregon, right? Technically, it is possible. However, should it be done? Probably not for many of the reasons mentioned previously. You also have to realize that you could also do damage to other components like your suspension system. You should have your wheel bearing inspected as soon as you can. Driving with a bad wheel bearing is not only dangerous for you but those people who are around you. You do not want to lose a wheel while driving for obvious reasons. Wait, don’t I have multiple bearings on my vehicle? You are correct and any one of them on any wheel can start going bad. They could all go bad at once. One can go bad or any combination of failure in each wheel is possible. Ok, well, what is a wheel bearing anyway? A wheel bearing really is what it sounds like by the name. It is a set of steel ball bearings. The ball bearings are located in a metal ring. The metal ring with all those bearings helps your wheels spin without building up too much friction and the by-products of friction such as height. Is there a set amount of time or mileage where I should really start thinking about replacing my bearings? The answer here is a little more complicated than we make it sound in earlier paragraphs. Here is what you need to know If you have sealed bearings. If you do have sealed bearings then you probably do not need to do anything to maintain them. Sealed bearings can last up to 100,000 miles. However, they do need to be replaced when they go bad on you. However, if you have the more traditional style of bearing, which are tapered wheel bearings, then you should have maintenance performed on them every 25,000 to 30,000 miles. They also have to be replaced if they feel like they are in a bad state. How does a professional figure out if there is a wheel bearing problem? Could you explain that process a little bit? A technician or a mechanic will require a test drive to help them hear the sound and pinpoint where it is coming from in the first place. Once they have done that then they may put your vehicle on a lift so that they can rotate your tire. 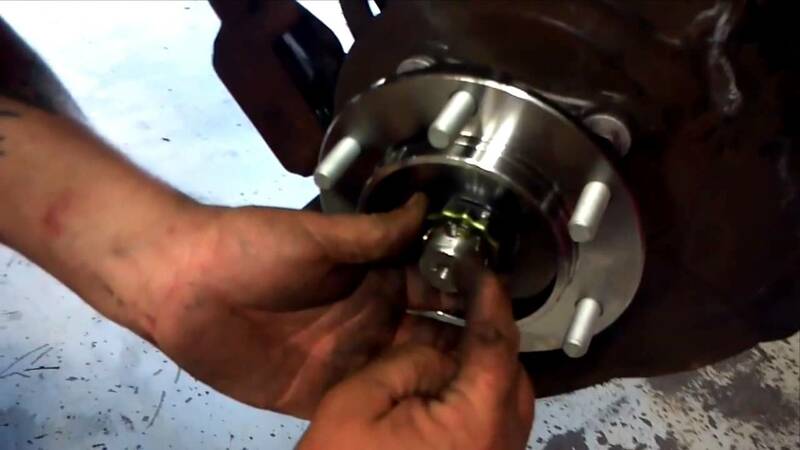 They will listen for any sounds from your wheel hub and see if your wheel has any extra movement that should not be thereby moving the wheel back and forth. If they find that your wheel and your suspension are good then it is probably accurate that your bearing has gone bad. How do I contact you to schedule myself so that you can see if I really am having this problem with my vehicle? You can find us in Tualatin, Oregon. The specific address is 19460 SW 89th Ave. Tualatin, OR 97062. You can also call 503-692-0846.